Introducing Watex Metal Mobile Green Wall The first vertical garden was created by King Nebuchadnezzar in the ancient city of Babylon way back around 600BC. The famous hanging gardens of Babylon is one of the famous seven wonders of the world little did the king know that the concept would be as popular 2615 years later! The freestanding with maneuverability function allowed you to relocate your green wall to anywhere in anytime you want. A Complete full functional irrigation system included. 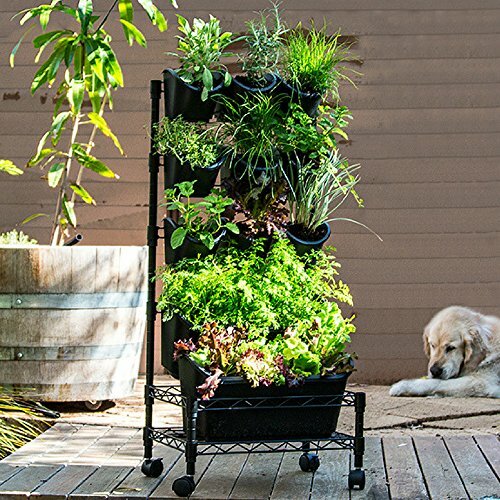 This portable vertical garden unit enables you to grow your favorite herbs or vegetables & take them anywhere from your garden to kitchen.